So, we’ve all been using Smart DNS Proxy for a long time. We’ve used it on our phones, TVs and on streaming devices like Fire TV stick or Nvidia Shield, what have you. And we have always emphasized on setting it up on your router, but most of these streaming devices come with the Android Operating Systems, which can run a VPN. So, if you are curious just like I was when I heard this, here is how you set up Smart DNS Proxy VPN on your Android based streaming devices such as Fire TV stick and Nvidia shield. First of all, make sure that you enable apps from unknown sources on both devices. To do that, navigate to settings and then go to My Fire TV. Open the DEVELOPER OPTIONS setting and from there just tap on the option which says Apps from Unknown Sources and select Allow. Next, you need to sideload Smart DNS Proxy VPN app on your Fire TV and Fire TV Stick. A better way, to sideload apps on your Firesticks, is via an Android app called Easy Fire Tools. Download the Easy Fire Tools app on your android smartphone and then download the Smart DNS Proxy apk from sites like APK Pure. Once you are done, just connect the Easy Fire Tools with your Fire TV stick and tap on the app you want to install, and it will be installed on Fire TV stick as well. Once you are done installing Smart DNS Proxy VPN apk inside your Fire TV stick, launch and connect to the server. Wait, that doesn’t look so easy? The UI is stretched out, and you can't even see any cursor. Well, that’s because this app is originally made to work on mobile screens and when emulated on a bigger screen its super-scaled. We have left a note to the developer, and hopefully, it will be fixed in the future. Thankfully, the "mouse toggle app will help us navigate here." Sideload the mouse toggle for Fire TV app and start the service, now come back to Smart DNS Proxy VPN app and press the Play button twice and you should see a cursor ball. One thing to note here is that this app only works on the non-4K variant of the Fire TV stick, so if you are on Fire TV 4K, you can use the actual mouse with the help of Micro USB Host OTG Cable. Navigate through the app and select your country and server and then hit Connect. Now, you will be able to see that your browsing country has changed. Once this is out of the way, now let's see how we can use Smart VPN on Nvidia Shield. So, to do this, first head over to the Playstore and download Puffin TV browser which will be used to surf the web and download further files. The process of installing VPN on Nvidia Shield is pretty much the same as Firestick. First, you need to allow installation from unknown sources. For Nvidia Shield, long press the Back button until you see a menu pop up from the right side of the screen with settings. Scroll down to find Security & restriction option under a personal tab. Open this and select the app which will be allowed with this permission; do note that in Nvidia Shield there is no option to enable this feature by default so you have to do it manually every time or just allow the browser or file manager with the apk with the permission and there won't be any problem. Next, download, Smart DNS Proxy VPN APK from the Puffin browser and then install it. Once you are done installing, you will see that there is no icon of the app in the app drawer. That’s because Nvidia Shield doesn’t promote the user to install third-party sideloaded apps in its system. To counter this situation, we have to find a third-party launcher which is capable of showing all the apps. ATV launcher is the most suitable in my case so go to Playstore and download ATV launcher. Once you are done with downloading ATV launcher, just open it and scroll down to find Smart DNS Proxy VPN there. 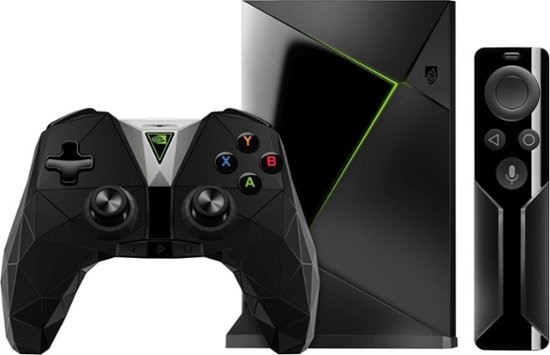 Open it and use the right analog stick to select the server with the mouse pointer and then hit Connect using the pointer, you will now be able to use Smart DNS Proxy VPN on Nvidia Shield. To check whether it’s working on not, switch to server nearest to your physical location, make sure you pick the server with SmartVPN in it. Switch to Netflix and search for the shows like The Office or The Killing, after turning on VPN, it should show up and start streaming just fine. How cool is that? So yeah, that’s how you set up Smart DNS Proxy VPN on streaming deices like the Nvidia Shield and Fire TV stick to unblock geo-restricted content of sites like Netflix, Hulu, Pandora, what have you from all your favorite streaming sites. Do check out our other videos on best Firestick tips and tricks and stay tuned for more videos on Nvidia Shield TV on our Smart DNS Proxy YouTube channel. Thank you for reading and watching and see you in the next one.